Doctor Who Time Vortex is a virtual reality bespoke game for the hit sci-fi show on BBC. 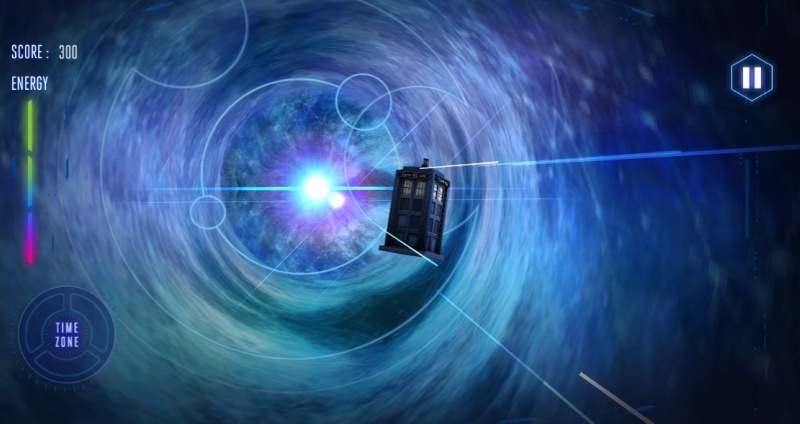 Players will pilot the TARDIS (a time machine shaped telephone box) to cross the vast expanse of time. You have to avoid flying meteors and collect glowing orbs to get the high score. The new twist in this endless runner is that you will also be avoiding obstacles flying behind the TARDIS. This game’s 360-degree visuals were created using WebVR to accommodate mobile devices that are VR capable. It was also developed in HTML5 and WebGL using PixiJS 5.0. Even though your device doesn’t have VR capabilities, you can still enjoy the game’s eye-candy graphics.